R52 MINI Cooper S 2005-2008 pulleys. 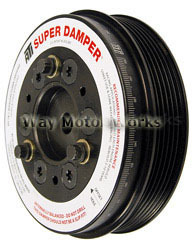 WMW sells all the pullies you need from MINI supercharger pulley, Alternator pulley, Crank pulley or damper, idler pulley, A/C delete pulley, and pulley accessories. 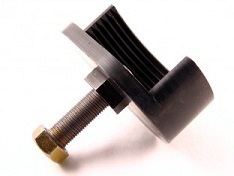 We have several tools to go with the pullies such as the pulley puller, belt tensioner tool. These parts are manufactured by Way Motor Works, Cravenspeed, Helix, Alta, Powerflex, M7, Detroit Tuned, ATI, PRW, and John Cooper Works.